The Association for the Voice of Education in Quebec may not exist for much longer. In an email from AVEQ’s board on Dec. 13, executives and staff were told they will be laid off this January as the association reassesses its financial stability and its continuity. 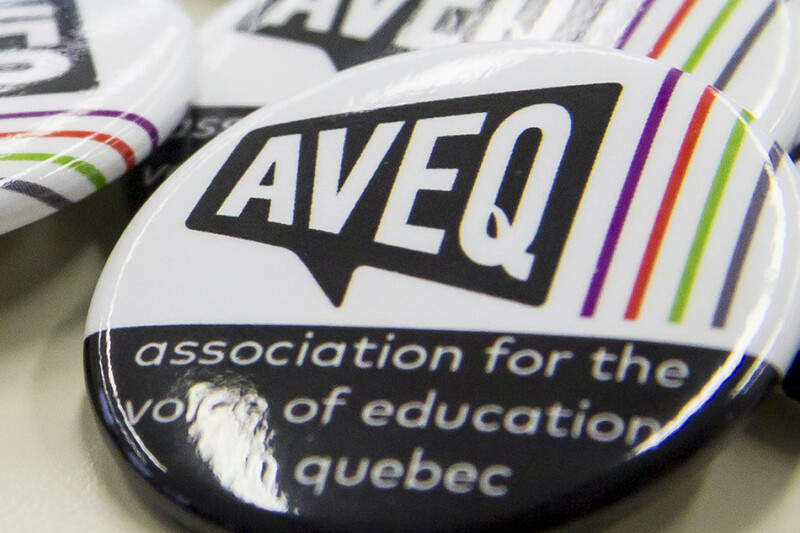 AVEQ was first founded in 2015 and operates on the provincial level by grouping together student associations from Quebec that join on as members. It currently represents undergraduates from Concordia and students from Université du Québec à Rimouski, who each pay $3.50 a semester to fund the organization. Executives declined to comment on the announcement, which was brought to The Link’s attention by Sophia Sahrane, an advisor to the executive team. Board member and Concordia Student Union executive Camille Thompson said AVEQ decided to lay people off because they didn’t have enough to cover the cost of salaries. In October, students from Chicoutimi left the organization, resulting in a loss revenue–their membership fees were originally projected to bring in just over $53,000 for the 2018-2019 year. This summer AVEQ projected a deficit of about $70,000. According to Thompson, a projection for a balanced budget was also realized in November, but with only two student associations remaining and decreasing revenue, AVEQ will be forced to close or restructure completely. Thompson said the Association étudiante de l’Université du Québec à Rimouski will be looking to leave AVEQ at their next members assembly in late January. If the vote fails, Rimouski students can still leave through a referendum vote at their own campus. Rimouski students were originally projected to bring in about $26,000 for the 2018-2019 year. If Rimouski students leave, Thompson said the CSU’s council will push for Concordia undergraduates to do the same. “There were a lot of internal problems at AVEQ, and we did the best we could but we are also students,” she continued. 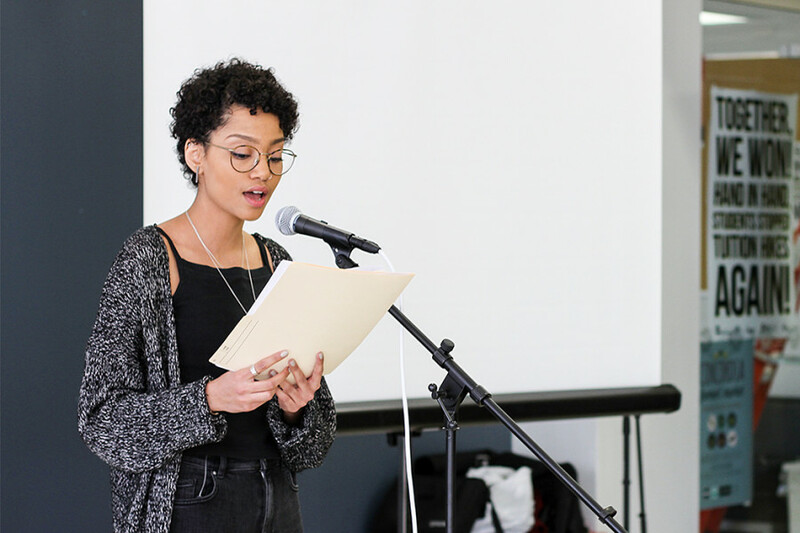 Sophia Sahrane previously worked as an executive for the Concordia Student Union, and can be seen here in 2017 at a press conference by the CSU office. File Photo Miriam Lafontaine. Sahrane, a former executive who’s worked for AVEQ for the last three years, claimed credit cards belonging to the association were used by two executives for unnecessary and personal expenses this fall in spite of the association’s declining funds. She also said the same executives failed to appropriately report their expenses to her so they could be vetted for approval, with Mobilization and Coordinator Anas Bouslikhane forgoing the process entirely through the fall. She also claimed Bouslikhane used AVEQ’s credit card for personal luxuries. Sahrane said she attempted to bring up her concerns with AVEQ’s board, but was disappointed with how they responded to the situation. “The interest started growing. I had to bring it up to the board at a meeting, and the board just said to give [the two] until a certain date to submit their expenses and then just approve all of them, pay [the bills] and cancel the credit cards,” Sahrane said. Thompson confirmed a number of association credit cards had to be cancelled in the beginning of November and that AVEQ incurred the costs, but wouldn’t comment further on the situation. “I would have loved for us to act quicker, but at the time we didn’t have all the information [about the situation], and I think that really slowed down a lot of the actions we wanted to take,” she continued. AVEQ is expected to make an announcement on its continuity by the end of January.